Here you can find out about past, present and future art works. A number of my photographs are on permanent exhibition at Underfall Yard, Bristol. New Book available for order now on Amazon, Waterstones and from publisher The History Press. The social environment, spaces and events in Bristol and the wider world are my main fascinations. I report on these for local media and national press. After graduating from the London College of Printing with a BA (HONS) in Graphic Media Design in 1996, I worked as an art department assistant and graphic designer for 5 years. My work can be seen in a number of films and TV shows including Bridget Jones’ Diary. Since moving to Bristol in 2009 I have been photographing the city and its people. A new collaborative documentary photo and sound work ‘Humans of Hanham’ showcases the young lives, the hopes and fears of young people at a long standing youth club in Hanham. The show engages with the wider community. This is run by the Creative Youth Network. I’ve been working with the CYN with emerging artist Nick Fogarty to document these young peoples thoughts so we can all learn a bit more about the life of these Humans of Hanham. This work will then tour in 2019. Early 2019 I was asked as content creator to produce podcasts, documentary photography, portraits and short films for Stride Treglown launched on International Women’s Day 2019. Recently I represented the Arnolfini Art Gallery in Bristol with this shot (below) for the Museum of the Year Award 2016. I have developed photography and music therapy projects with Bristol charity Alive! Activities to improve the lives of elders living in care and I currently lead their iPals project to increase social interaction between schools and care homes. In 2016-2017 I developed and delivered a music therapy project for Fresh Arts, an arts programme managed by North Bristol NHS Trust. As photojournalist for BCFM radio, and local print media, I have provided photography and written articles for magazines such as Bristol Life (see below). In 2016 I collaborated with the art group Situations, producing and presenting Echoes of Sanctum which reflected on Theaster Gates’ art project Sanctum. This led to another collaboration with Situations via BCFM Radio to produce Forest Of Stories inspired by Katie Paterson’s Hollow. I am currently working on a new project titled We Are One. 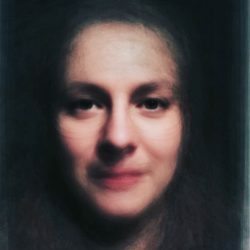 This is a two year photographic project which represents the people of Bristol in portrait form and will eventually reveal the city as ‘one’ portrait. Groups of people are photographed doing activities they love at clubs, events and work all over Bristol. 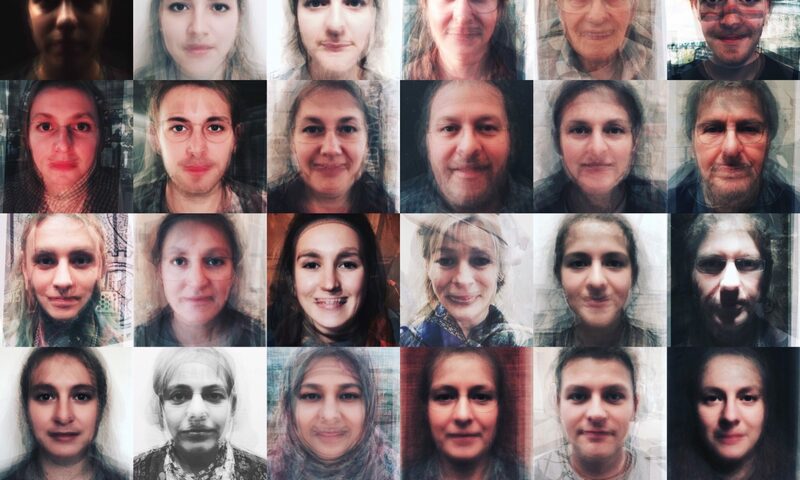 Each person has a portrait taken and then these are layered on top of each other to create a We Are One portrait. Above is the One portrait of the 1625 Independent People. 70 people were photographed just before bedding down for a winter sleep out to raise awareness for 1625ip which is helping 16-25 year olds reboot their lives. The aim of the project is to capture 1% of Bristols whole population by the end of 2019 and I am currently working with local community radio and Access Sport to ensure people of all areas and all abilities are included. In the spring 2017 I presented and delivered a creative We Are One workshop tailored for Stride Treglown staff while adding them to the project. I am keen to develop more interactive workshops at arts and social events to promote and develop this project. In 2018 a new project set in Stokes Croft and Montpellier about the people in these spaces and communities will be launching, more news on that soon.